ASTANA – The Zhambyl region observed a 4-5 percent increase in all sectors of its economy in 2018, reported the regional akimat (administration) press service based on the information from the Department of Economy and Budget Planning. The akimat set goals to increase regional socio-economic indicators by 2.8 percent in the beginning of the year. Although there was a risk of non-fulfilment of product volumes and construction and industry investments near the end of the year, the final indicator assessment showed upward trends. The industrial output index was 102.6 percent (reaching 396.2 billion tenge or US$1.04 billion), construction was 105 percent and investment volume in fixed assets was 108.4 percent (more than 2.3 billion tenge or $6.04 million). Positive dynamics was also maintained in managing state budgets. The growth was mainly from production volume in the chemical, metallurgy and mechanical engineering industries. 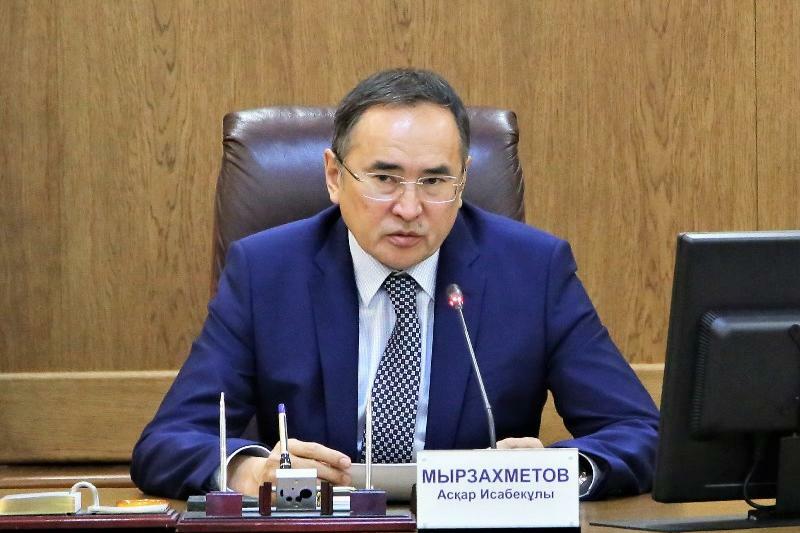 The dynamics were associated with improved engagement of small and medium-sized businesses and an increase in enterprise productivity during the year, said Zhambyl region Akim (Governor) Askar Myrzakhmetov. “We cannot rest on our laurels; in the new year, even larger projects are to be implemented,” he said. Zhambyl region Akim (Governor) Askar Myrzakhmetov. Photo credit: inform.kz. The akimat is now leaning towards a top-down approach of controlling indicators in upcoming reports. It will introduce a new format of final assessment works focusing on current issues and revising their timely solutions. In addition, regional authorities plan to start joint work with 30 territorial departments, inspections and other administrations within the region. The memorandum specifying the requirements among regional, town and village administrations is underway. Despite the general positive trends, the 80-percent planned export growth target was unfulfilled at only 38.1 percent. The annual report analysis showed the need to open a support centre for entrepreneurs and investors. The Business Road Map 2020 programme cannot serve its targeted audience, as the analysis showed a low lending rate of financial support for those who want to start a business. In particular, there is no support for those who would like, but cannot get, a 6-percent loan. This year, the centre plans to implement 13 directions, 16 indicators, 17 projects, 60 initiatives and 313 events.